We pulled off of the main alley and on to a smaller alley, where Henry parked the motorcycle. Everything in 澳门 Macau is crowded, and finding a place to park can be tough, even with a motorcycle. However, there was a spot waiting for us. We quickly dismounted and headed to the school. A metal door to a small residential looking building – concrete, maybe eight floors – with a metal plaque next to it reading the name of the school: 雷明輝 詠春班 Lui Ming Fai Wing Chun Class. We were buzzed in, and proceeded up the tight concrete switch-back staircase to the sixth floor. We entered the classroom, the size of a medium-sized Chinese apartment, enough space for many people to practice, but not enough to do much with a long pole (though I believe they sometimes go to the roof-top for that). I met another teacher, 杜德 Anton Tou I believe, and some of the students, some Henry’s some Anton’s. I then had the opportunity to practice some 单黐手 dan chi-sau – single sticky hand – and regular two-hand 黐手chi-sau with some students. This was a very interesting experience, and again I learned some interesting things. For the most part, as I expected, the training felt very familiar. Still, Henry gave me some more things to work on; namely, a solid stance and developing elbow power. After this chi-sau I demonstrated my 六点半棍 Luk Dim Bin Guan, pole form, which is significantly different from theirs. Henry Ho suggested it may be closer to the original 洪拳 Hung Gar form. Then, one of the students demonstrated their pole form, which was very stripped down, and comprised mostly footwork and thrusts. I performed my 小念头Siu Lim Tau, and the other students performed their Sil Lim Tau and Chum Kiu (which were essentially the same as mine). I was introduced to the class as the senior student, having more years training on all of them, though the few I trained with felt quite solid. 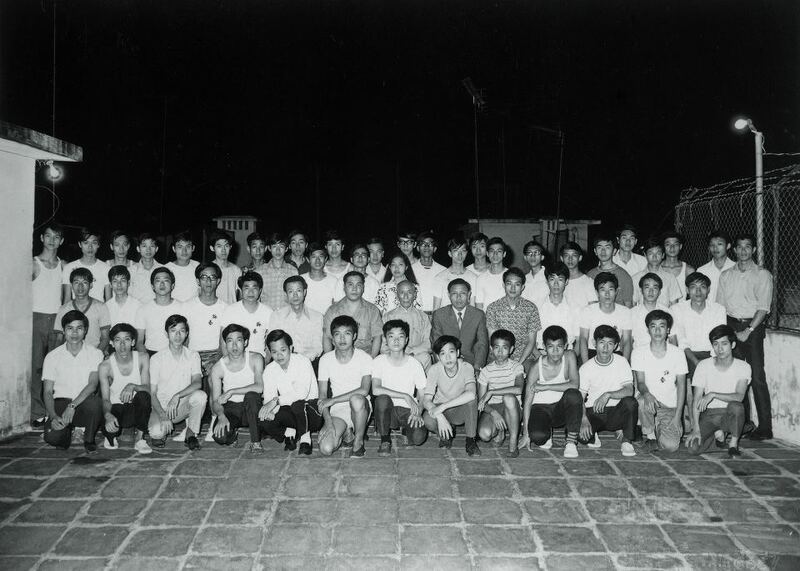 Anton Tou, John Lapham, Henry Ho and class, in Ho Kam Ming’s old school in Macau. Before leaving I was introduced to one more teacher, who taught the next class. This teacher, who’s name I did not remember (too overwhelmed) learned during the same time as Augustine Fong, but was twice Fong’s size. The plaque at the front door said Lui Ming Fai, but I did not have time to meet Lui Ming Fai (A.K.A. Rocky Lui), because I had a train to catch back to 广州 Guangzhou. 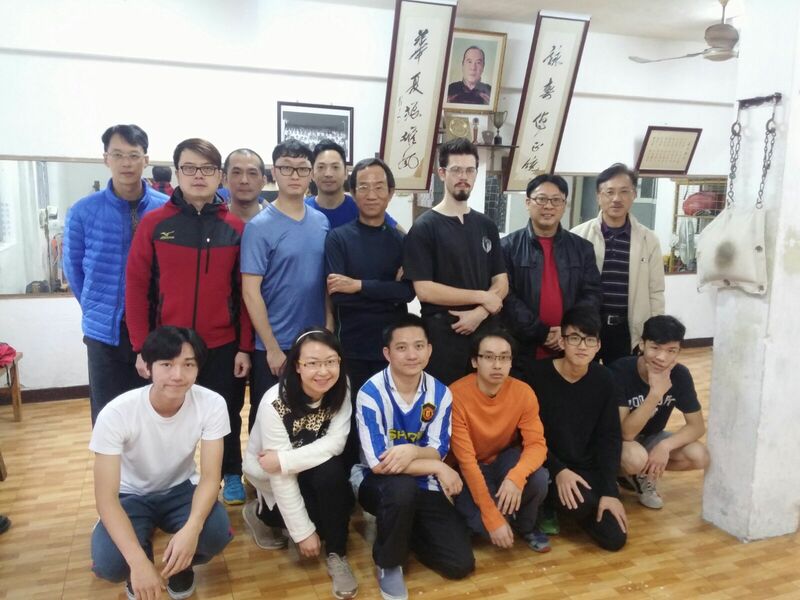 Lui Ming Fai is supposed to be very good, and teaches regularly in 佛山Foshan, which is very close to my residence in Guangzhou, so expect to contact him later this week. He taught Henry Ho, and I suspect he may have taught 杨师傅 Sifu Yang, who I met briefly in Chengdu many years ago. 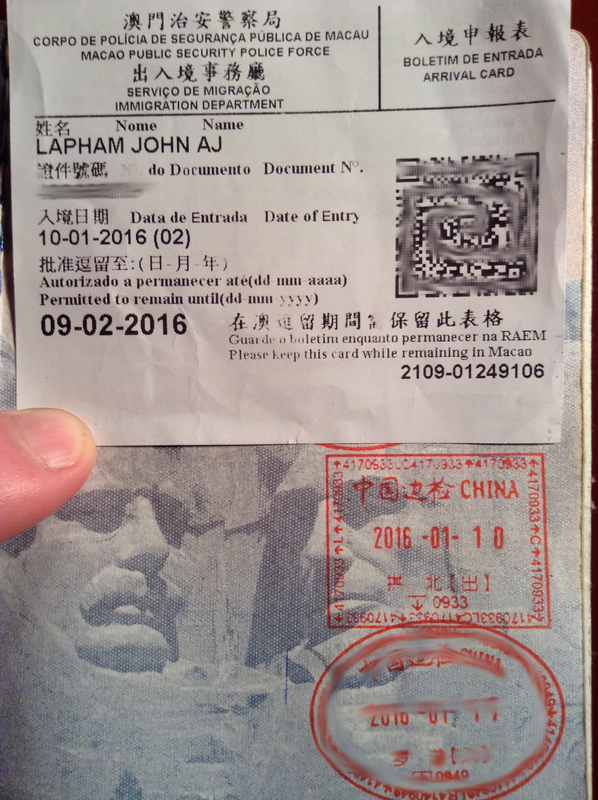 I returned to 珠海 Zhuhai, after being held up at the boarder because they couldn’t identify me with my passport (the photo was from 2007). I signed Henry Ho’s form to join the Ming Concept organization (though I’m not quite sure what I’m getting myself into). I walked from the border over to the train station and bordered my train back to Guangzhou. This was a great trip, and a great chance to meet so many people. I was given many pointers, and learned a lot in those few hours. I intend to return either to Zhuhai or Macau; preferably both, multiple times, before I return to the U.S. In the mean time I will try to meet with this Rocky Lui, and see what more I can learn! Your comments regarding the long pole are interesting. Dave Hetherington said the same thing.